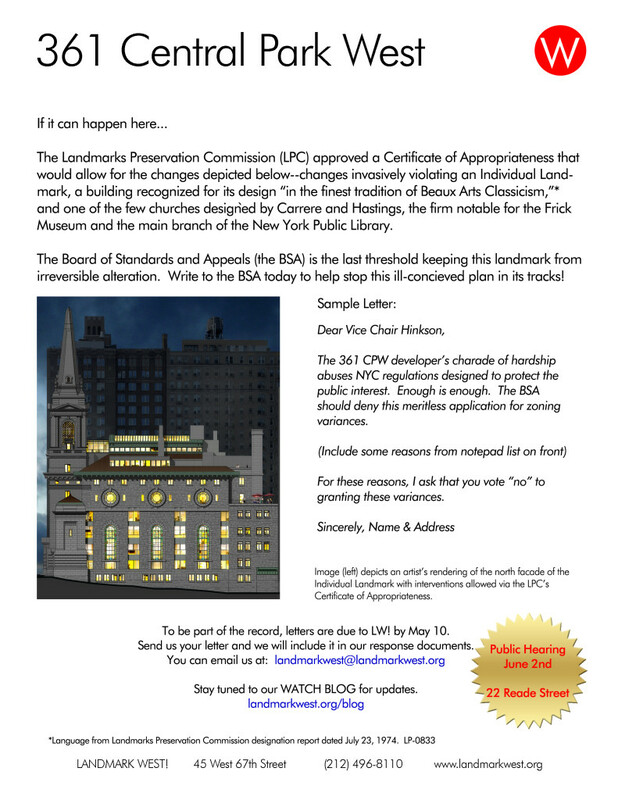 A long series of hearings at the Board of Standards and Appeals (BSA) will come to a close on June 2 when the Commissioners are expected to make a final decision regarding the future of the Carrere and Hastings individual landmark at 96th Street and Central Park West. 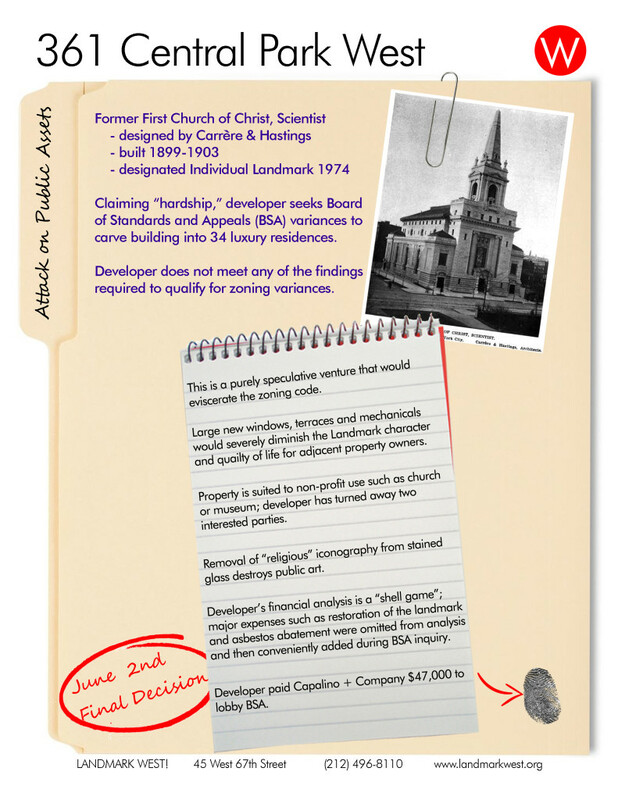 Please consider writing a letter on behalf of the landmark and surrounding community. A sample flyer is available for download via THIS LINK and is attached below. Please call LANDMARK WEST! (212) 496-8110 with any questions.